Well, this year found me 'strategically' purchasing another lamb. Twist my arm! This is Waffles, a silly little sheep- a very cute one! 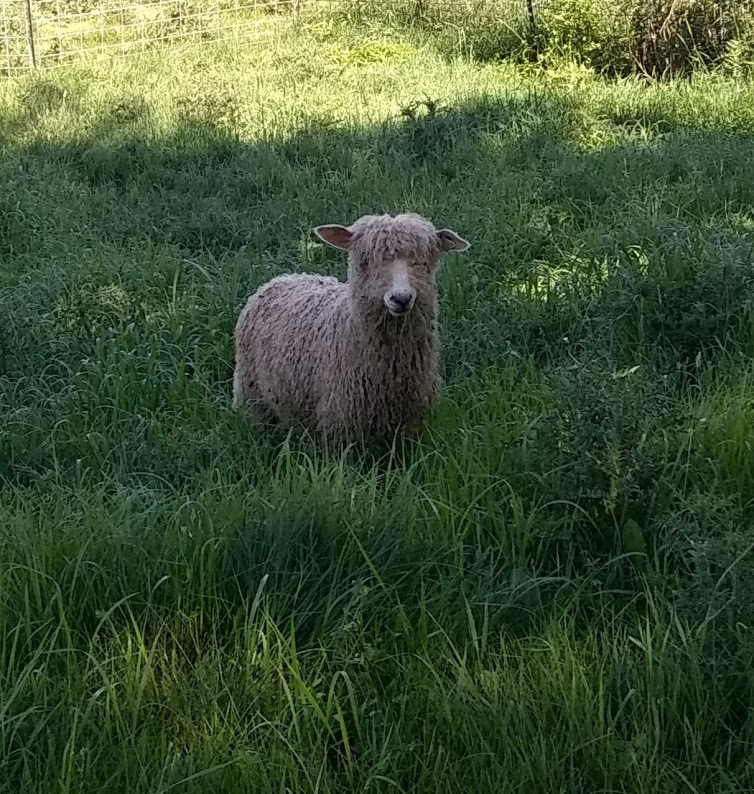 Waffles is a Cotswold sheep we purchased from the same flock Coco Bean and Pirate came from. 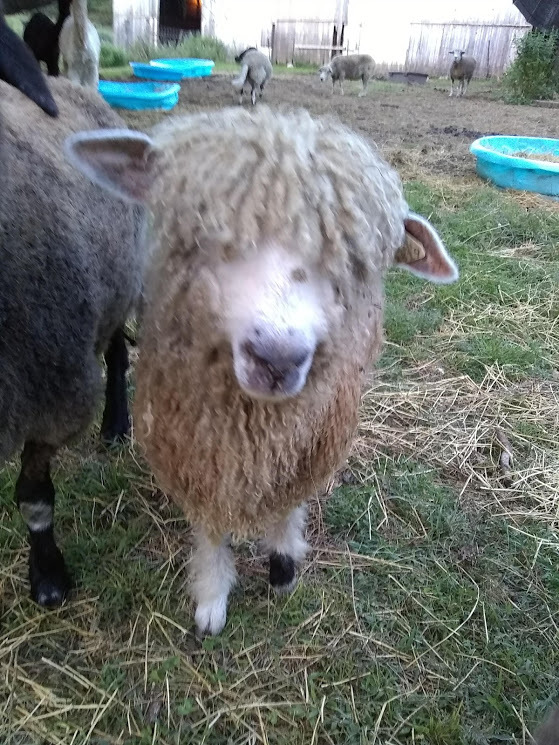 He is a delightful, very very curly fleeced little fellow. Spring shearing will give us another beautiful fleece. He is a little bit shy but that won't last long. He's too curious! We moved the little special needs/senior citizen group to their winter barn. They share the old dairy barn with the big group of sheep. Now I have a great chance to catch Waffles for a little bit of a trim of those adorable bangs. Was thinking of braiding it? We’ll see what he thinks! He will spend the winter in the little group so he can grow and eat grain. Cotswolds are a slow growing sheep. They are not done growing til they are around 2 years old. He can join the big flock after shearing day in the spring. Here is Waffles and his buddy Speedy!